Bronchiolitis obliterans (BO) is an inflammatory disease of the small and smallest airways (membranous and respiratory bronchioles), in which a scarring process leads to a progressive closure. However, the large airways show only mild or even no involvement. 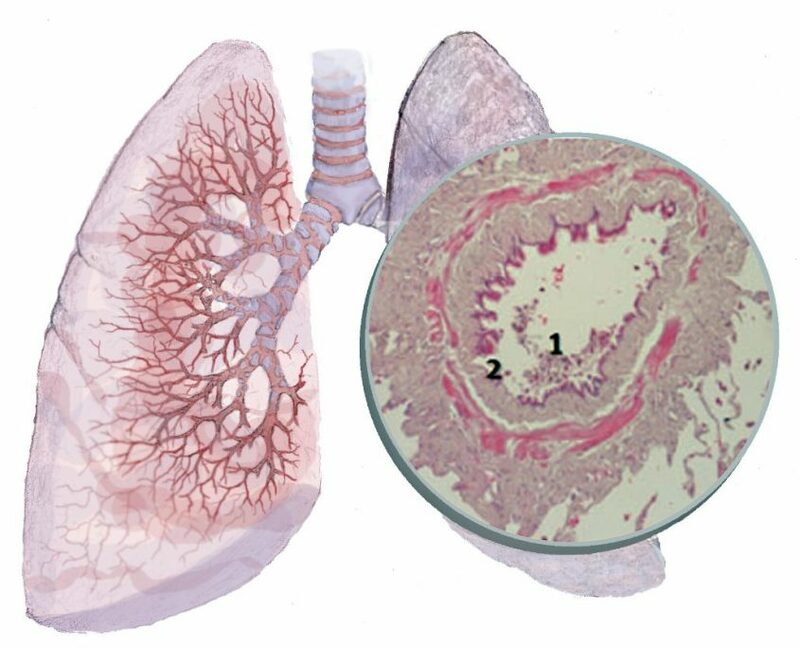 The first step of this process is a damage of the bronchial epithelium, which is often initiated by an infection or by an autoimmune-mediated processes (after lung transplantation or after bone marrow Transplantation). In addition, it may be caused by the inhalation of toxic dusts or gases. Less common causes include adverse drug reactions, vascular tissue diseases, chronic inflammatory bowel disease and aspirations. Although an etiologic classification is important to think of BO it remains clinically irrelevant. Clinically relevant is a histologic classification as different histological types show a good correlation with the clinical course, radiological changes and the response to different therapies.